Sometimes a roof is just too old or damaged to be repaired effectively. With over 25 years' experience we are licensed and experienced roof repairs and metal re-roofing and roof replacement professionals that match quality workmanship with a great prices. 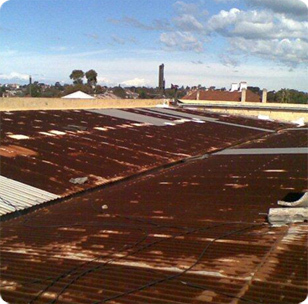 We are renowned specialists in Colorbond and Zincalume metal roofing and flashings. We proudly serve all of our residential, commercial and industrial customers throughout the greater Sydney region. Tandem Trades have built a reputation in Sydney as the metal roof replacement roofers of choice for any sized residential, commercial or industrial roof. Using contemporary products, such as Australia's favourite Colorbond and Zincalume roofings, we can offer you a re-roofing solution that will protect your property for decades to come, look great and at a low cost that may surprise you. As well as metal roof replacement, we also specialise in tile-to-metal roof conversions, guaranteed to bring contemporary style and practicality to almost any Sydney roof. We offer an obligation free quote for all roof replacement projects and we look forward to hearing from you to discuss your metal roof replacement needs for your Sydney property.